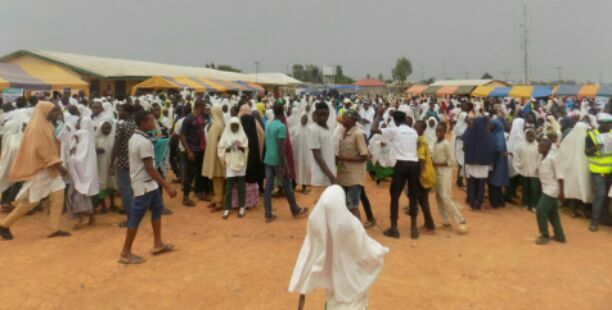 Muslims and Christians in Mando community, Sabon Garin Afaka Dstrict, Igabi local government area of Kaduna state have again reaffirmed their resolve to continue to respect each other’s cultures, traditions, freedom of worship and promote the culture of peaceful co-existence amongst themselves. The Festival which also included displays of various cultural dances from a number of tribes within the community drew a crowd of over five thousand people cutting across different faiths and beliefs from the community. Speaking at the program, the Kaduna State Commissioner for Youths, Sports and Culture, Mr. Daniel Dan-Auta, who spoke through a Deputy Director in the Ministry, Alhaji Yahuza Ilu said, government will partner with any individual, group or organization that is committed to promoting peaceful coexistence and unity amongst the people of the state. He did commended the Global Peace Foundation for initiating the Community Peace Festival and requested that, Mando community and all community stakeholders borrow a leaf from GPF and celebrate the major Muslim and Christian religious festivals in like manner. Also speaking at the event, the Divisional Police Officer Kawo Division thanked GPF Nigeria and the District Head of Afaka for jointly organising the event. He expressed the believe that such collaboration will greatly assist the Police in it’s Peace keeping efforts. The DPO also requested the help of all community members with information that will help curb the menace of a cult-like group called “Sara-suka”. While giving a brief of the Community Peace Festival, the Northern Co-coordinators Global Peace Foundation Nigeria, Rev. John Joseph Hayab and Sheikh Halliru Abdullahi Maraya explained that, GPF Nigeria realises that there was the need to recognize, respect and appreciate the diverse cultures in the community, enhance tolerance and harmonious relationship amongst people of different faiths and ethnic groups and also to create mass mobilization and momentum for community service projects.